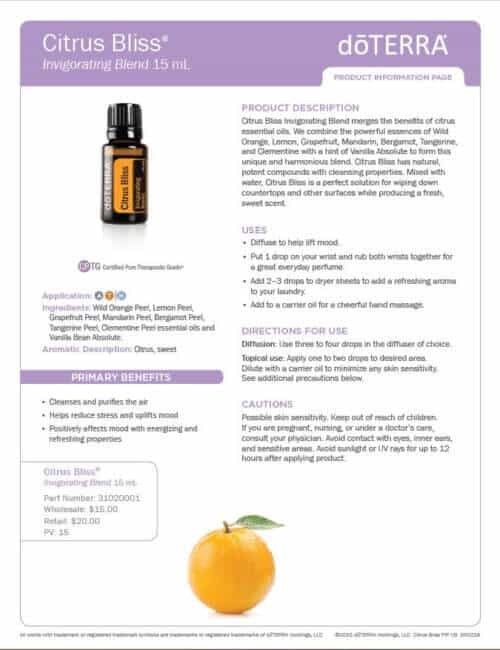 If you would like to learn about doTERRA citrus bliss essential oil uses you have come to the right place. 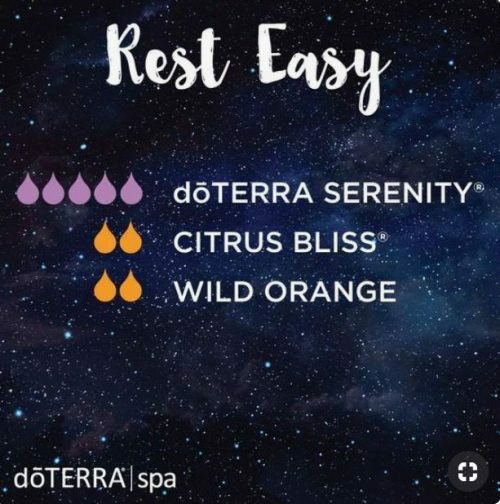 I explain all about doTERRA citrus bliss and all the ways you can use it and how to use it. I think you’ll be pleased. The invigorating, energizing scent of Citrus Bliss oil can add a sweet aroma to your home, car, and even your clothes. If your laundry ever smells damp or musty, you can always add two or three drops of Citrus Bliss to a dryer sheet before throwing it in with your clothes. This will help give your clothes a refreshing sweet scent—no matter how long they’ve been sitting in the washer or dryer. With energizing and refreshing properties, Citrus Bliss can be used to positively affect mood when diffused aromatically. 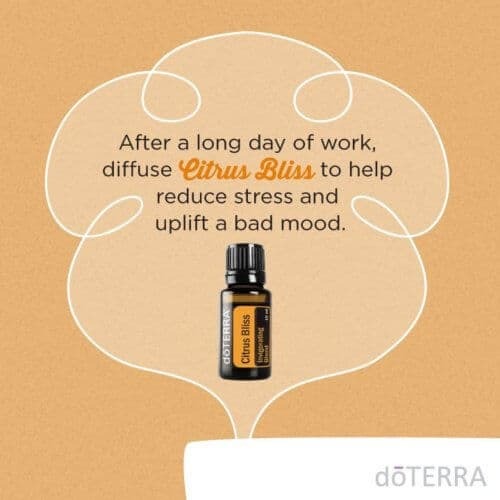 Whether you’ve been overwhelmed by negative emotions, run down by deadlines at work, or you feel like today is just not your day, consider diffusing Citrus Bliss oil to help lift your mood. 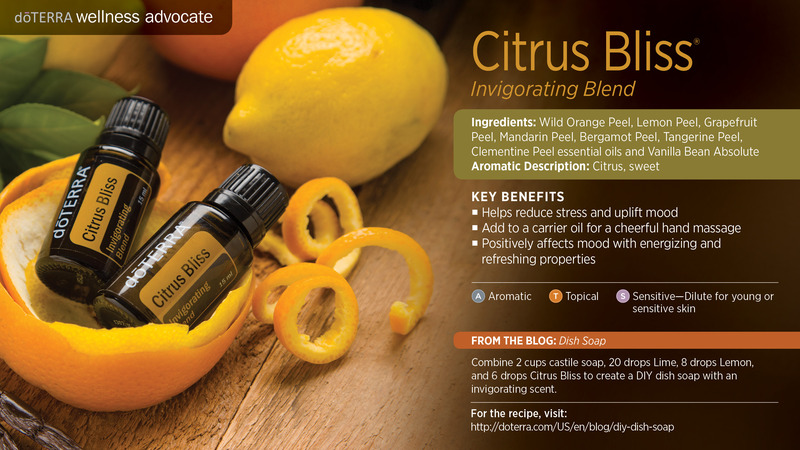 When you need an extra pick-me-up, Citrus Bliss can help reduce stress and uplift mood. The cleansing properties of Citrus Bliss oil can come in handy for cleaning and tidy up around the house. When you want your bathroom to feel sparkling clean, consider adding a few drops of Citrus Bliss oil to a rag or cloth before wiping down surfaces. This also works in the kitchen when your countertops and other surfaces feel grimy or gross. For even more Citrus Bliss cleaning fun, check out our DIY Essential Oil Dish Soap, which combines Lemon Essential Oil, Lime Essential Oil, and Citrus Bliss Invigorating Blend oil together to help remove grease from messy dishes. 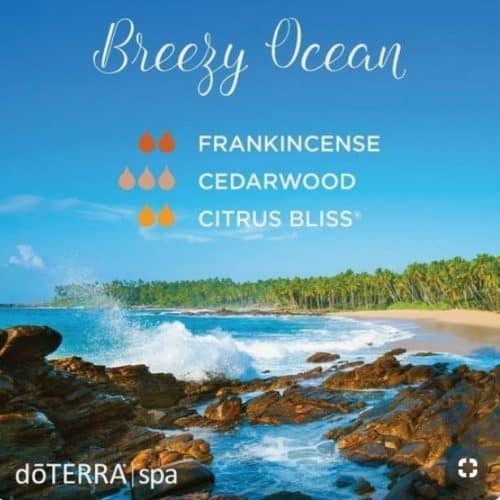 While Citrus Bliss has many beneficial characteristics for your mood, the powerful scent can also be helpful when you want to purify the air around you. 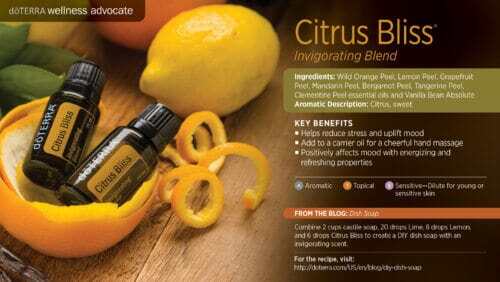 Diffuse Citrus Bliss in your kitchen when unwelcome smells arise. 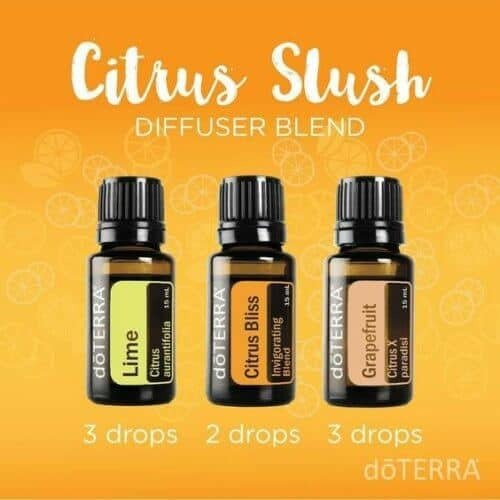 You can also diffuse Citrus Bliss in your teenager’s dirty bedroom to help purify the stale air. To truly spread the sweet, clean scent of Citrus Bliss around your home, check out our DIY Citrus Air Freshener with Citrus Bliss essential oil. When you want any area of your home to feel clean and fresh, Citrus Bliss is a perfect choice. Looking to improve your focus? Topically applying Citrus Bliss can be extremely helpful when you are trying to promote focus and clarity. For an improved sense of focus, combine two drops of Lavender Essential Oil, two drops of Peppermint Essential Oil, and two drops of Citrus Bliss together. Then, simply apply the blend to your temples and inhale. Bring the inviting scents of Citrus Bliss into your relaxing evening bath by making these DIY Confetti Flower Bombs. Infused with Citrus Bliss essential oil, these skin-safe bath “bombs” slowly dissolve in your bath water, leaving your skin moisturized and rejuvenated. Follow our tutorial and learn how to make these fizzing bath bombs on your own. The cheerful scent of Citrus Bliss oil can be helpful when giving a quick, invigorating hand massage. Citrus Bliss is a suggested oil for AromaTouch® Hand Technique because it includes citrus oils that are invigorating for the senses as well as for the skin. When using Citrus Bliss for a hand massage, consider diluting the oil with Fractionated Coconut Oil for a smoother massage. Energize your senses with this musky blend of bold essential oils. This scrumptious blend is our new go-to. It smells HEAVENLY and can be enjoyed on the daily by people of all dietary preferences. 🙂And yes, it really does smell like apple pie. 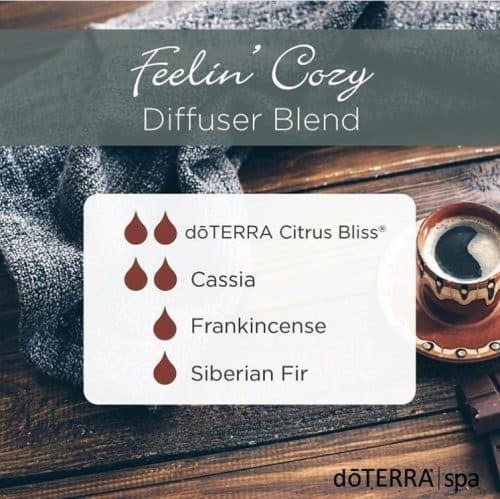 Diffuse this blend for a grounding, yet uplifting experience and evoke feelings of tranquility and balance. This blend brings to mind a fresh mountain meadow as the snow begins to melt into spring. This Spearmint diffuser blend smells divine and is uplifting and refreshing. If you love the sweet and cinnamon smells of apple pie, then you will love this diffuser blend. 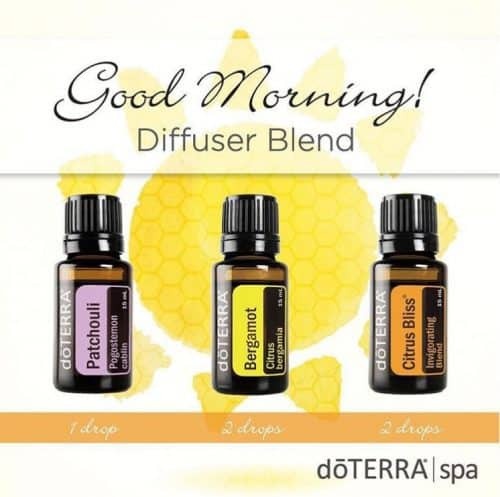 This blend uses three essential oils that not only smell delicious but will promote a warm, positive, and uplifting mood. 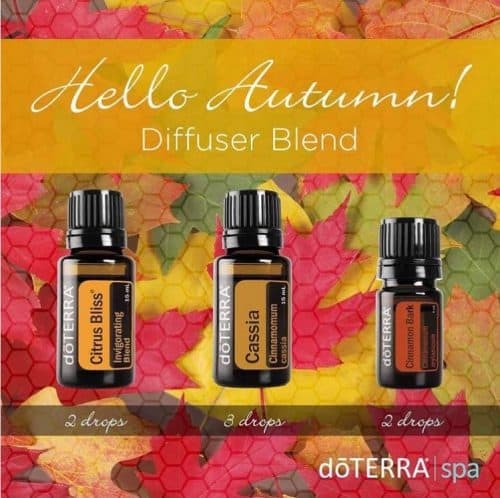 These autumn-colored oils work together in this powerful blend! Every essential oil involved helps to maintain health for every family gathering. 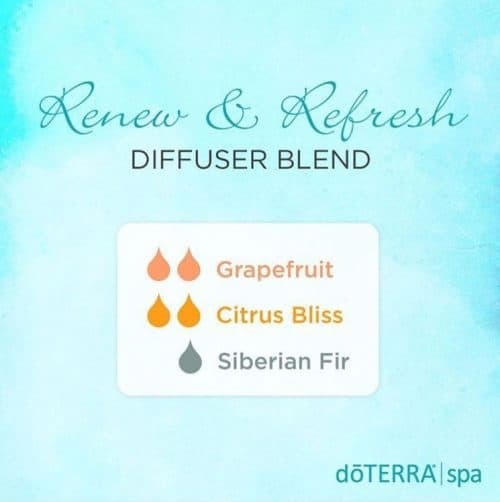 Embrace the beautiful breezes of autumn while holding on to the brightness of summer with this Bright and Breezy diffuser blend. Fill your home with the festive scents of the holiday with this happy, uplifting blend. Whether you’re lighting fireworks, going to a parade, or enjoying a backyard barbeque, we hope this cheerful blend will add to your celebration. Turn your home into a blissful Eden of exotic floral scents with this combination of Jasmine and invigorating citrus. We will be breathing in the fresh, natural aroma of this leafy blend as we diffuse it in the Spa all week. 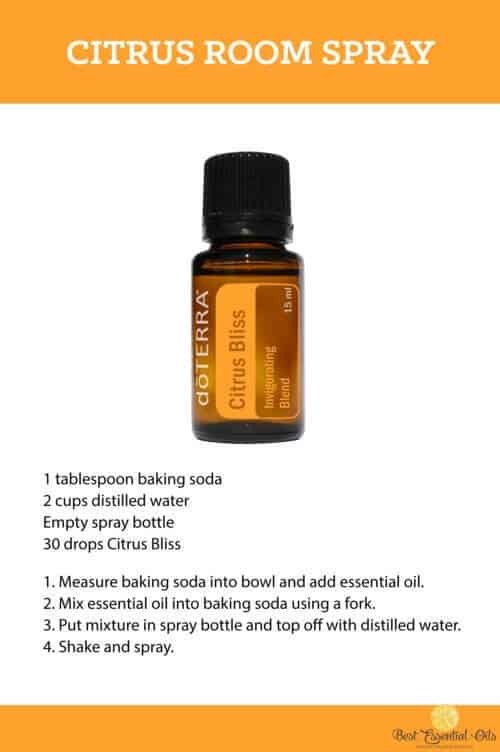 This recipe was taken from doTERRA’s Living Magazine (Page 37) and we do not own the rights to the recipe content. « Why Didn’t I Get My doTERRA Commission Check? 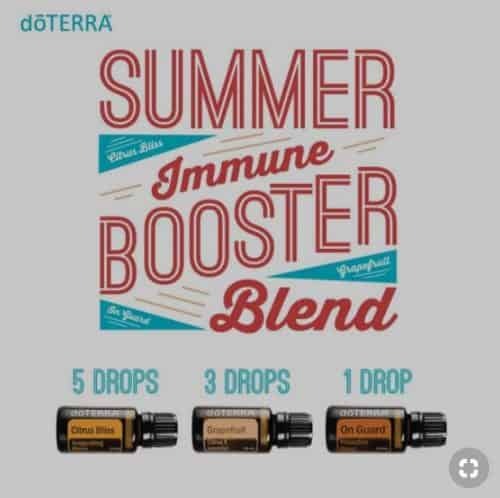 Love the idea of a citrus scent during the summer months! I want to try this to keep all the negativity away. Happiness breeds happiness. 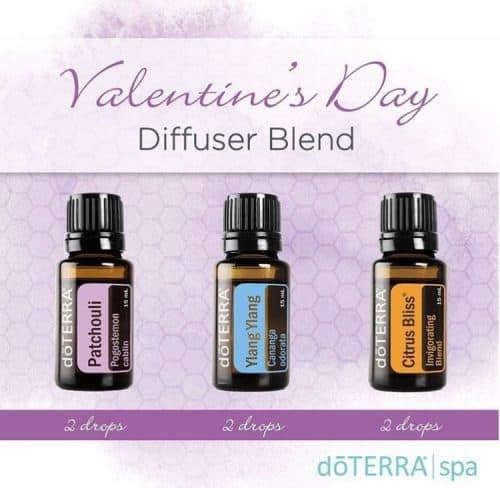 Love diffusing this in my office!! Makes for an amazing day!